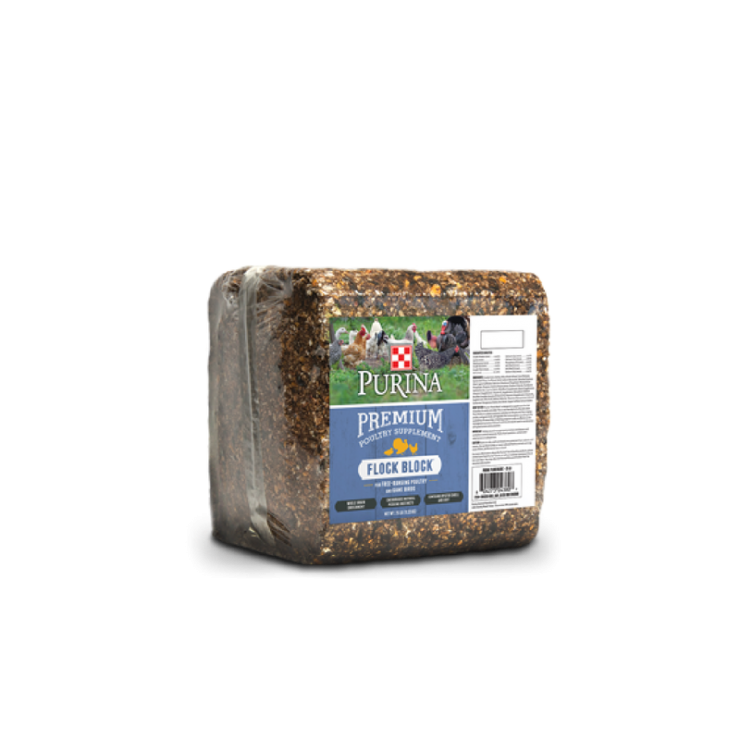 Purina Flock Block is a whole grain enrichment supplement for chickens, other poultry and game birds. Encourages natural pecking instincts and contains oyster shell and grit. Provides optimum nutrition for healthy meat birds and mixed poultry flocks. Available in a 25# block. Use only as directed. Store in a dry area away from rodents and insects. Do not feed moldy or insect-infested feed to animals as it may cause illness or death.